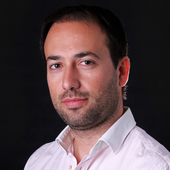 Dimitris Xygalatas does not work for, consult, own shares in or receive funding from any company or organisation that would benefit from this article, and has disclosed no relevant affiliations beyond their academic appointment. The Conversation is a non-profit + your donation is tax deductible. Help knowledge-based, ethical journalism today. So we should behave as if we believe in the same god those around us appear to believe in. Or they’ll think that we, fearing no punishment, will do anything they might think to do if that’s how they thought. role on ET or an Asteroid…. If organized religion were to disappear tomorrow, good people would still be good and bad people would still be bad. It is only through religion that good people can become bad.